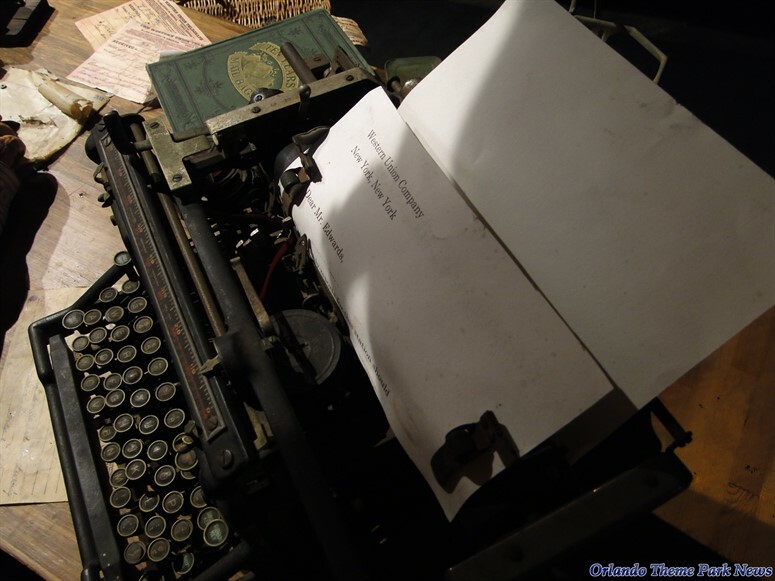 First – check out this Q&A about Optical Telegraphs. Optical Telegraphs were a system of communication by means of visual signals using towers and shutters. They are really neat and the precursor to the Electric Telegraph. The electric telegraph system sent and received electrical signals over long-distance wires and revolutionized communications in the 1900’s. It took a newly found understanding of electromagnetism to achieve its success. In 1820 Hans Christian Ørsted observed a magnetic field is generated when an electric current travels a wire. Joseph Henry discovered that by insulating the wire, the electric current is able to travel long distances without diminishing. He was also the first to coil the insulated wire tightly around an iron core in order to make a powerful electromagnet (3). The real key to the longer distance transmission of current as used by the telegraph was with a relay device which is powered by the aforementioned electromagnet (1). The relay works by taking a signal that arrives from one circuit and re-transmits it as an amplified signal to another circuit (4). There is good reason that the telegraph office in this scene is along rail road tracks. 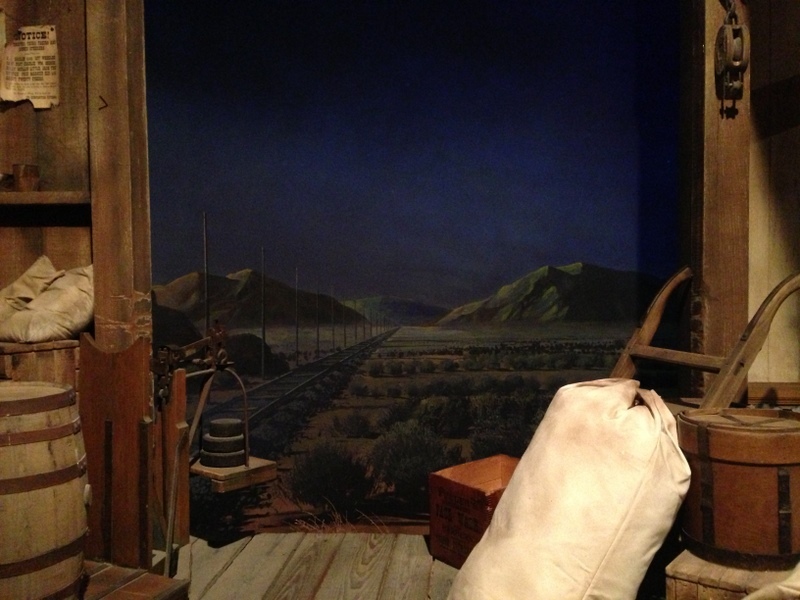 In 1843 a grant from Congress was awarded to build telegraph lines parallel to rail tracks. Later, during 1852-1860, about 23,000 miles of wires were hung and 3/4 of the telegraph stations were located in train depots (1). This telegraph office was run by the Western Union Company. 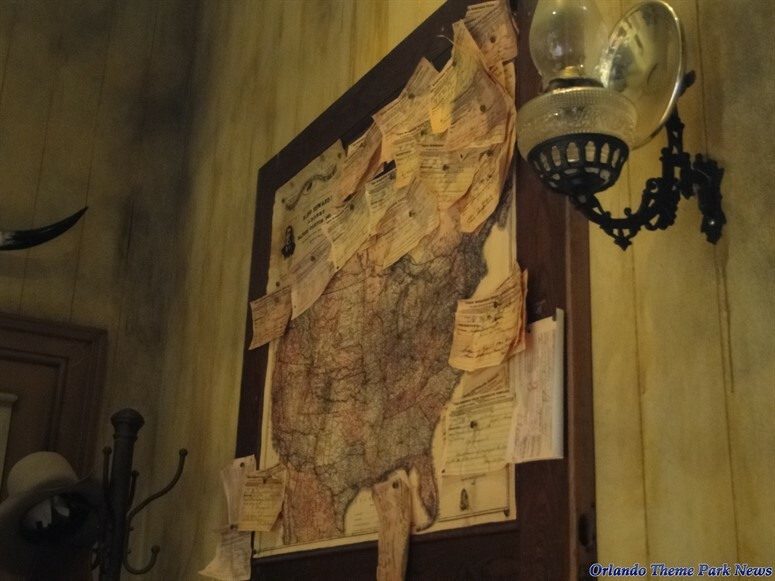 The map on the wall of the office maps out the locations of the telegraph stations. The locations of the stations look like constellations – our first web or network if you will. This web spared steadily and by 1866 the first underwater wire between US and Europe was installed – The Atlantic Cable. Telegraph Stations in the United States, the Canadas and Nova Scotia Barr, Chas. B., Published 1853. From : The Library of Congress, Geography and Map Division. Here we see a telegraph operator at the telegraph key. The key is the push lever that connects and disconnects the circuit in order to transmit signals. The operator presses and releases the level according to the morse code patterns. Short pulses made a dot, slightly longer pulses a dash. 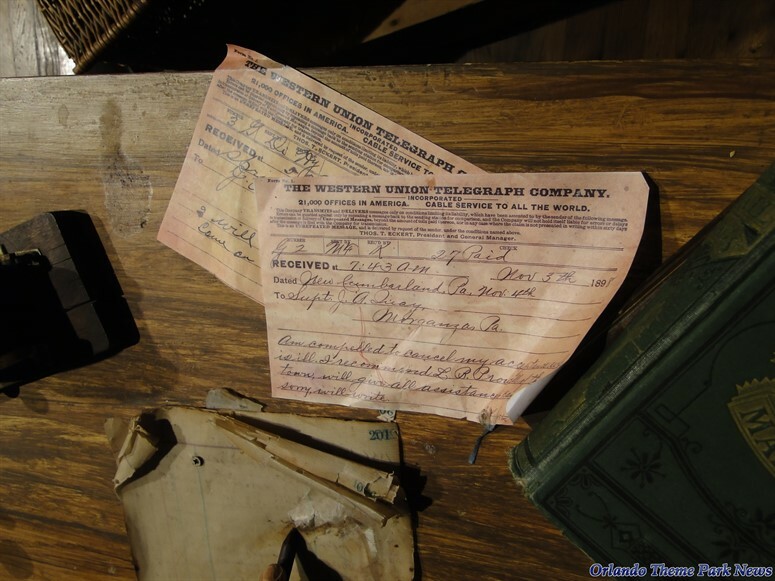 The telegraph operator can also read incoming messages that come through the register or recorder. These gentlemen are currently receiving a message that “the golden spike had been laid at Promontory Peak” – a ceremonial spike to join the rails of the Transcontinental Railroad across the United States (5). The telegraph message is about news from 1869 however the details on the slips indicate that this scene is from the 1890’s. Since 2008 this telegraph office has really picked up in business. They added a relay to their setup as well as a type writer. Here is an attempt at a zoom in with the telegraph equipment in use. Important information about birth/death and travel plans can be shared in a matter of hours, not days to months. The newspapers would also use the telegraph for breaking news. The system was revolutionary but had its limits. At first, the wires would get clogged with congestion but more automated methods eased this burden. It could also be costly as the customers had to pay per word and these messages had to be shared with the telegraph operators which would raise privacy concerns (1). 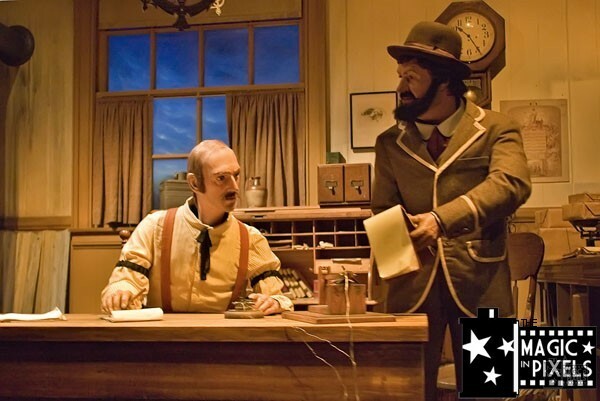 Because animatronics are complex, time intensive to create, and expensive – its common to duplicate the models that are made and dress them differently. 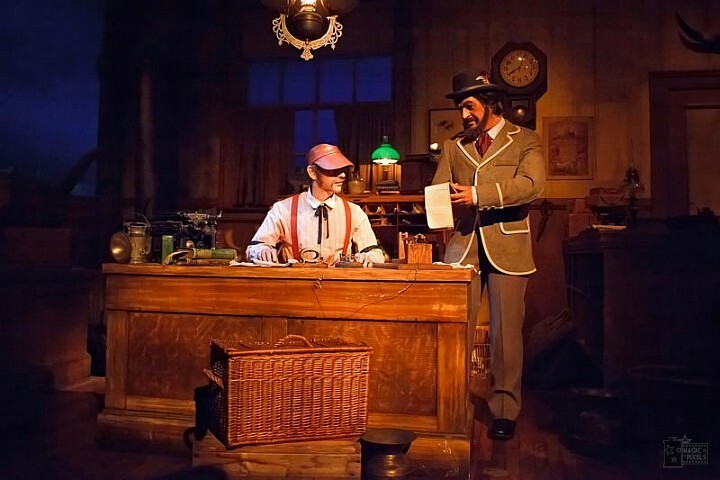 In this scene – the Telegraph Operator is said to also be the Mathew Brady in American Adventure (3). 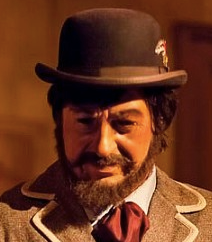 The Telegraph Reporter is said to also be the Store Owner in American Adventure. With electronic communications, we can send messages instantly over long distances. Signals and voices criss-cross the nation.